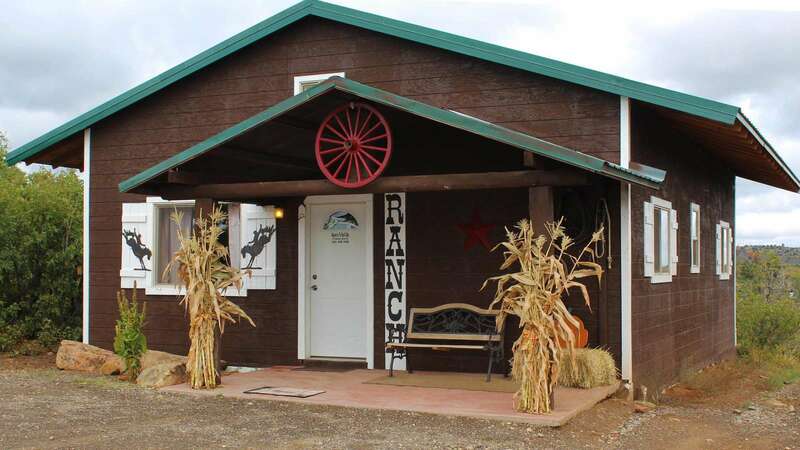 The Canyonlands Guest Ranch is ideal for up to 60 people. Family reunions, groups, retreats, youth camps, weddings and groups! 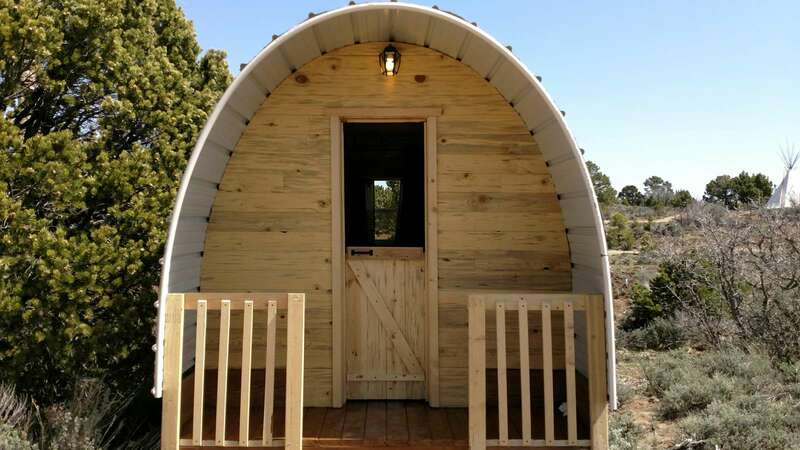 Based on the size of your group, you can use from one to twelve cabins, it sleeps from 2 to 70 people! 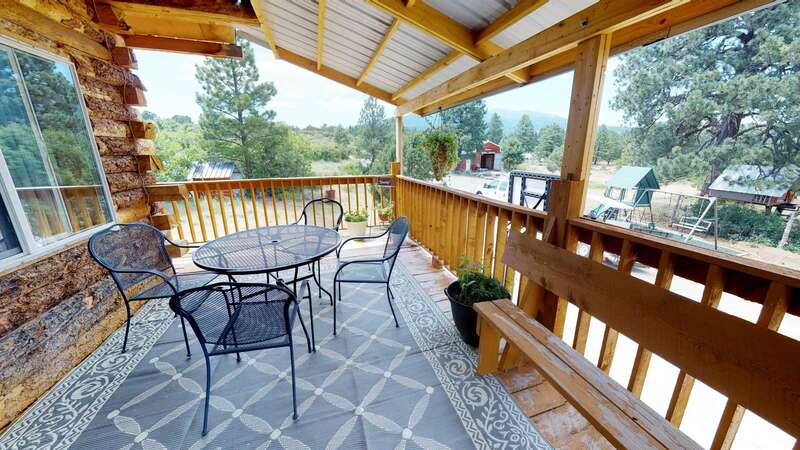 You will find peace and solitude while relaxing on the patios and in the trees around the Cabins. 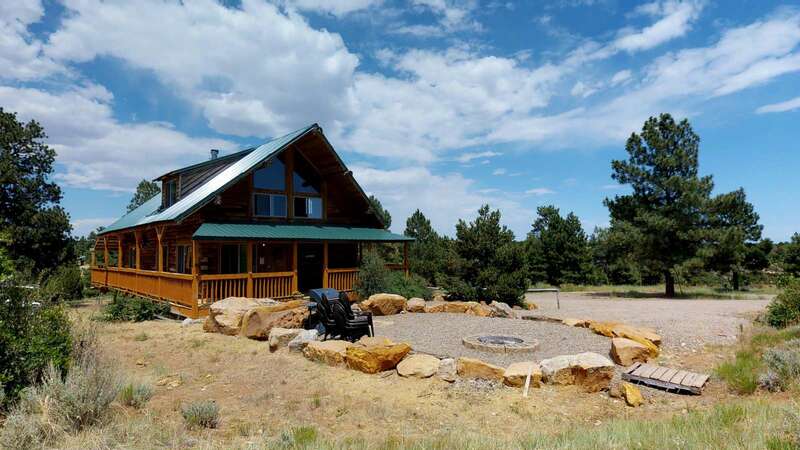 Sightseeing, hiking, biking, ATV and Jeep rentals, horseback riding, horseshoes, hunting, fishing & golfing etc. are just a few things you can do in this area. (Click on "Plan Your Visit" on the top menu for more info). 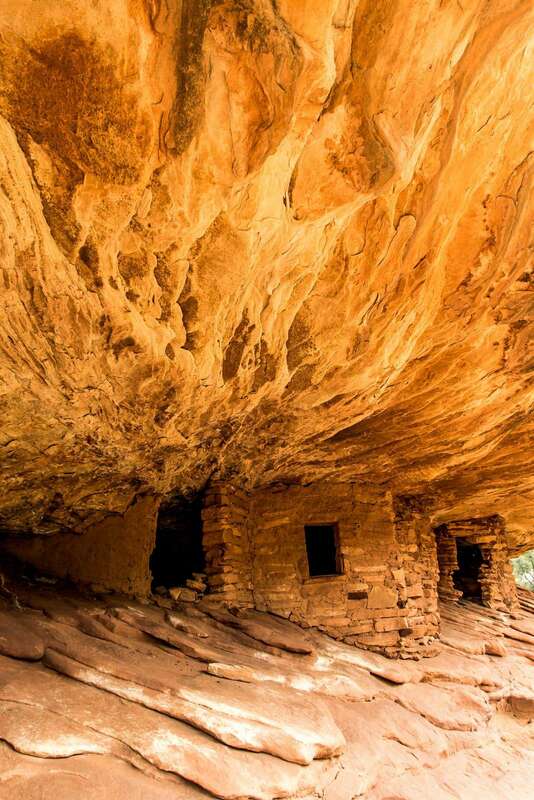 Hundreds of Ancient American Ruin Sites of cave dwellers, underground dwellings, petroglyphs, ruins and ritual sites are spotted around the area, and are favorite hiking destinations! 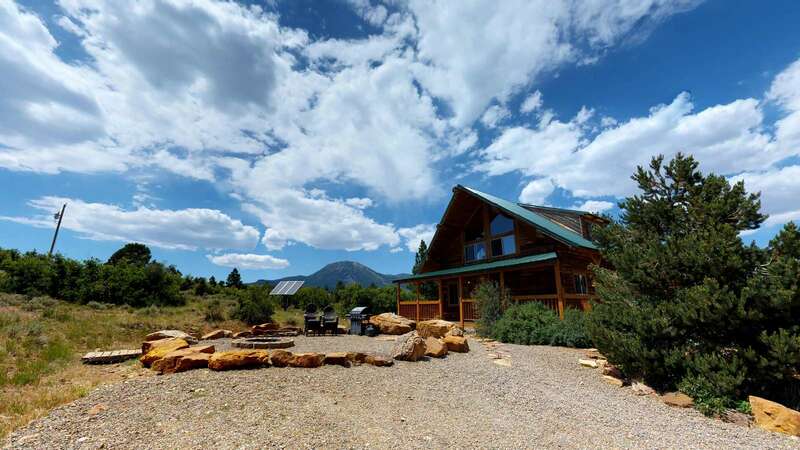 A total of 14 bedrooms, 4 lofts, 10 bathrooms, 70+ bed spaces and approximately 8000 square feet of stunning western vacation space - in the most convenient location in all of the US! 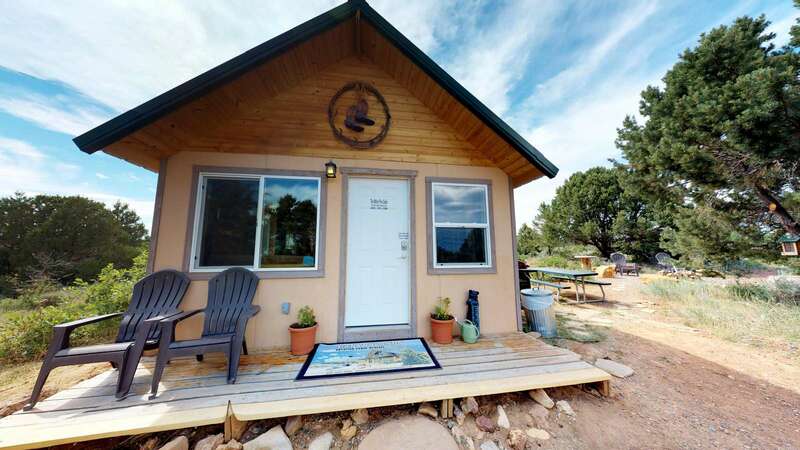 These cabins are perfect to relax and enjoy the beautiful Canyonlands Area! 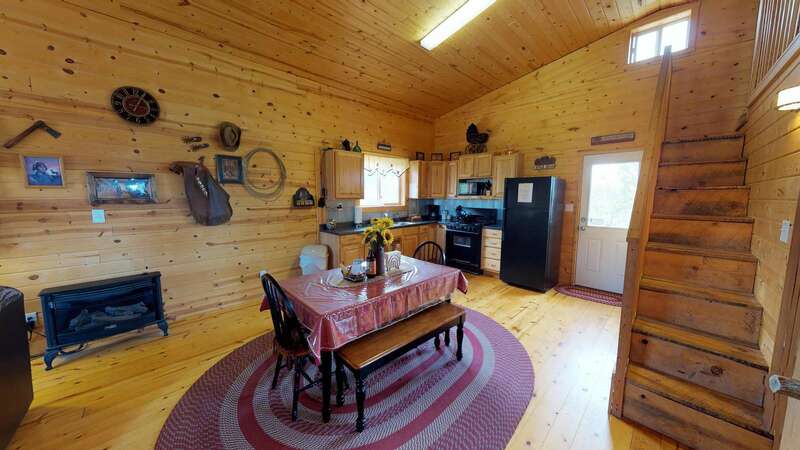 Featuring fantastic views of the Blue Mountains surrounded by trees. 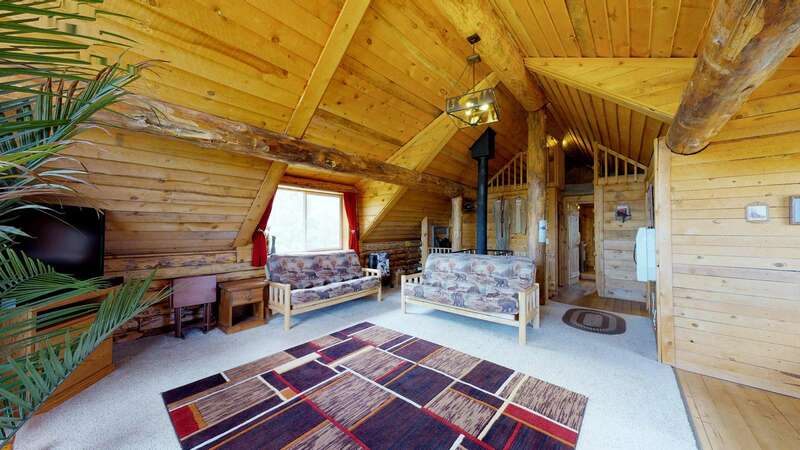 These cabins feature beautiful wood floors as well as carpeted bedrooms and lofts. The Living Rooms, Kitchens and Dining areas are relaxing and spacious. 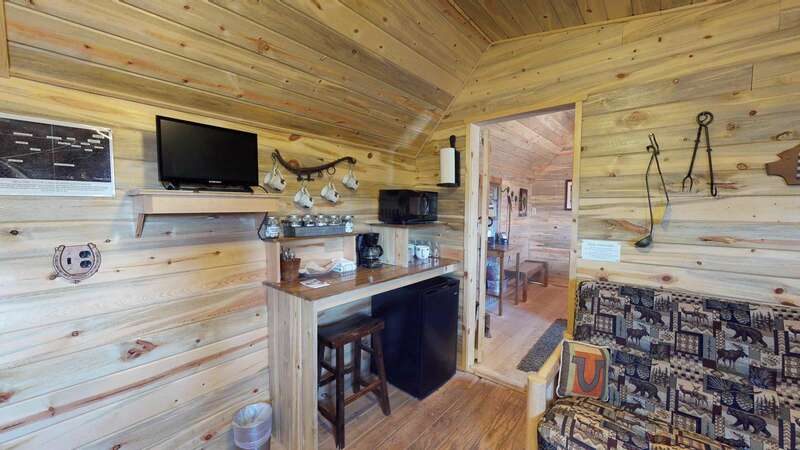 All of the cabins have flat-screen TV's and free wireless internet. 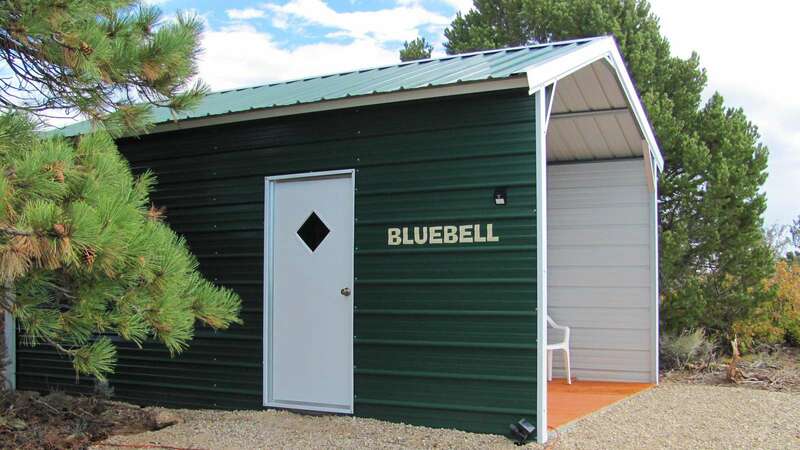 Featuring spacious main levels with master bedrooms, full bathrooms w/showers, kitchens, dining tables, sofas. 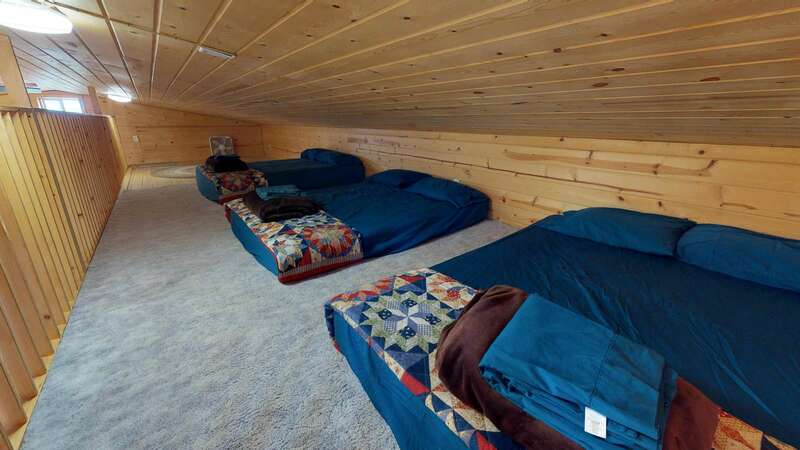 And don't forget the extra lofts w/ carpet and additional pads for kids! 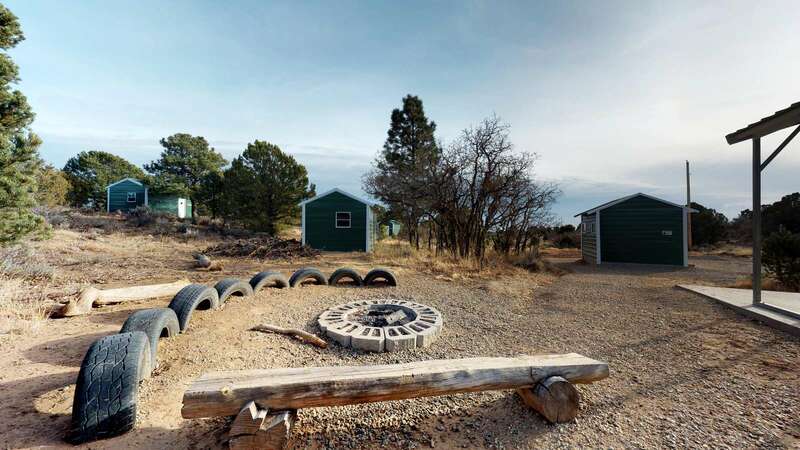 Outside you'll find a campfire pit, picnic tables, bbq grill, and lots of open space and hiking trails. 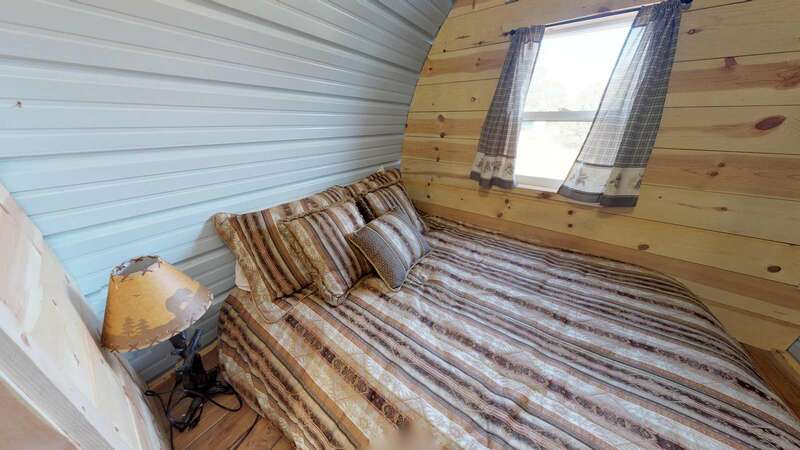 HDTV w/dvd player, all linens and kitchen/cookware is provided. 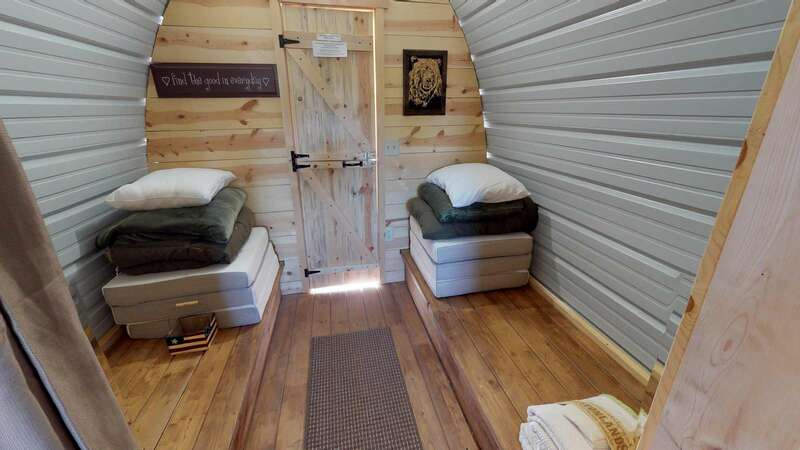 *Up to 14 bedrooms with a King or Queen Beds, plus beds in the Lofts. 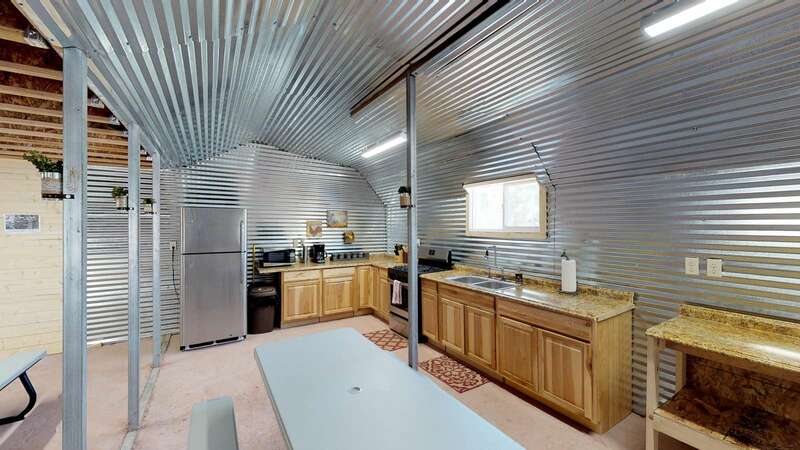 *Living room, full kitchen, and dining table. *Covered balcony from upper-level bedrooms. 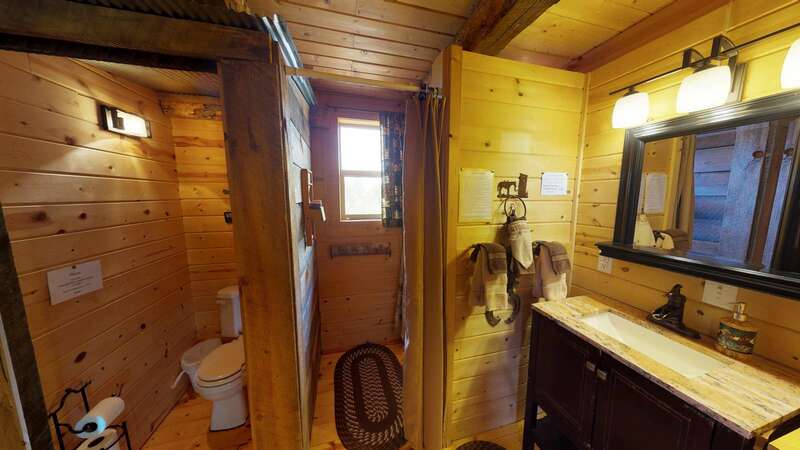 The two-bedroom Ranch Cabin has always been a guest favorite! 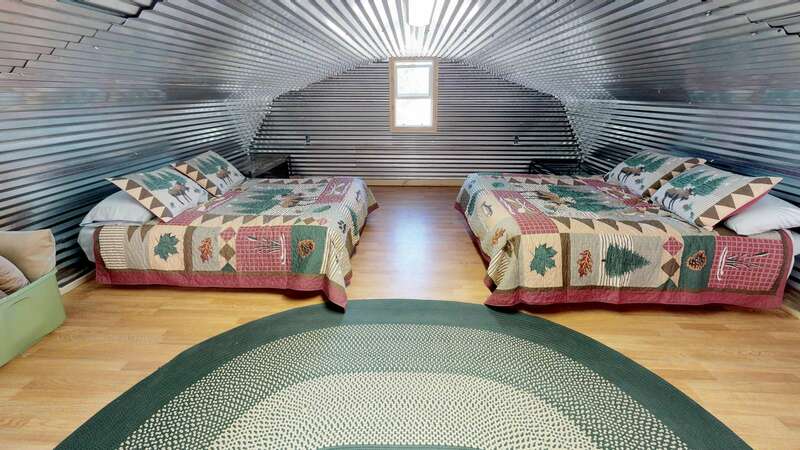 Sleeps up to 10 in beds. Featuring a spacious main level with 2 bedrooms (queen bed in each), a full bath w/shower, full kitchen, dining table, and plush sofas. 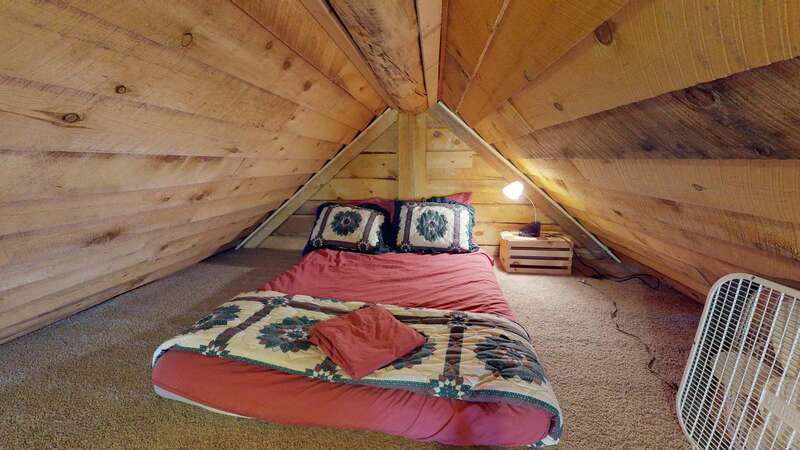 And don't forget the extra loft, featuring padded carpet and 3 additional queen beds (mattresses). 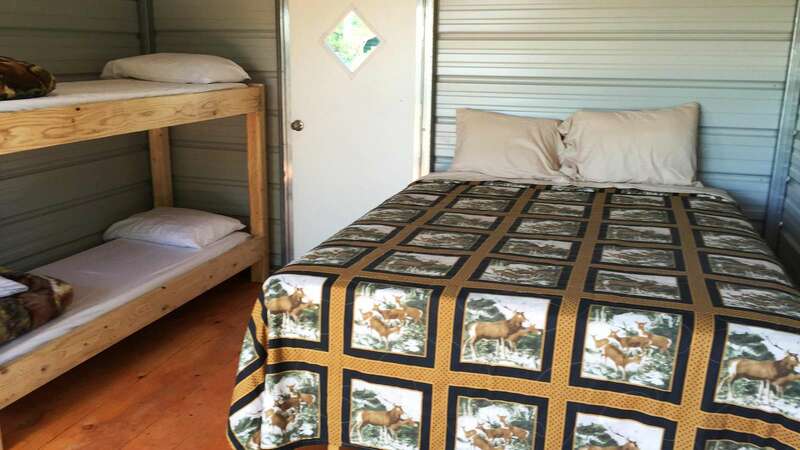 Campfire pit, picnic table, bbq grill, cable tv w/dvd player, wi-fi, and all linens are provided. 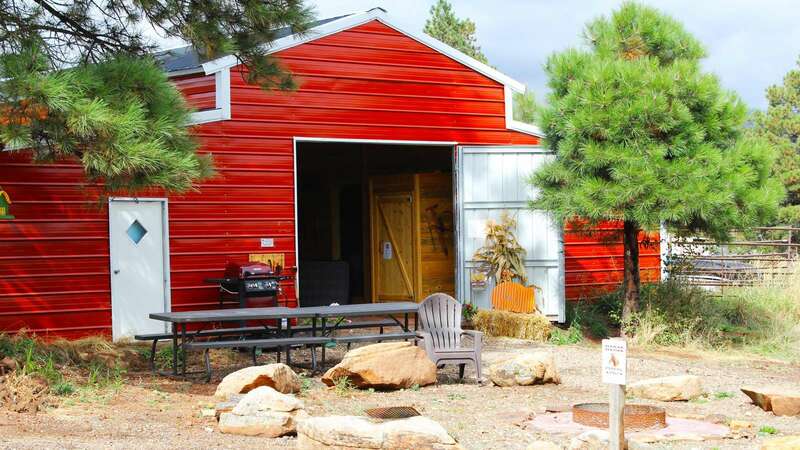 The Ranch Cabin is a great place to relax and enjoy beautiful southeast Utah - western style! 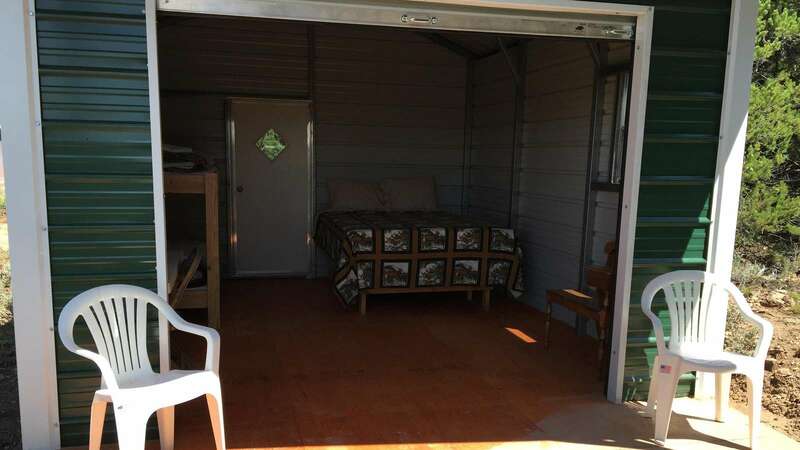 Featuring fantastic views of the Blue Mountains and surrounded by trees. 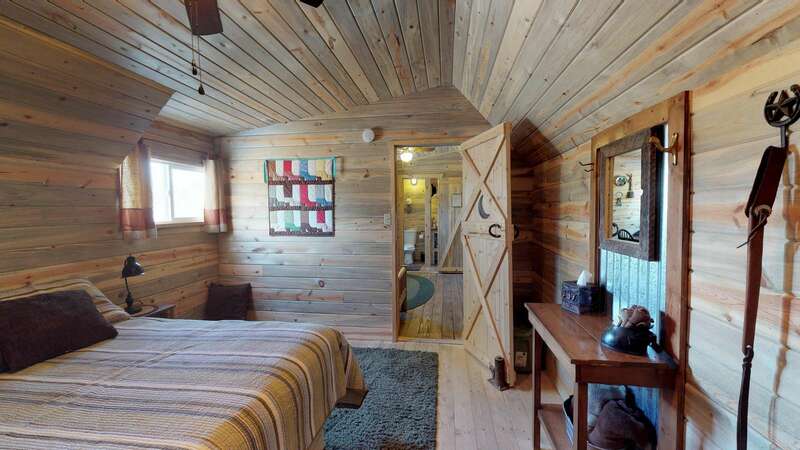 This two bedroom Cabin with a loft is decorated western style and features beautiful hardwood floors as well as carpeted bedrooms and loft. 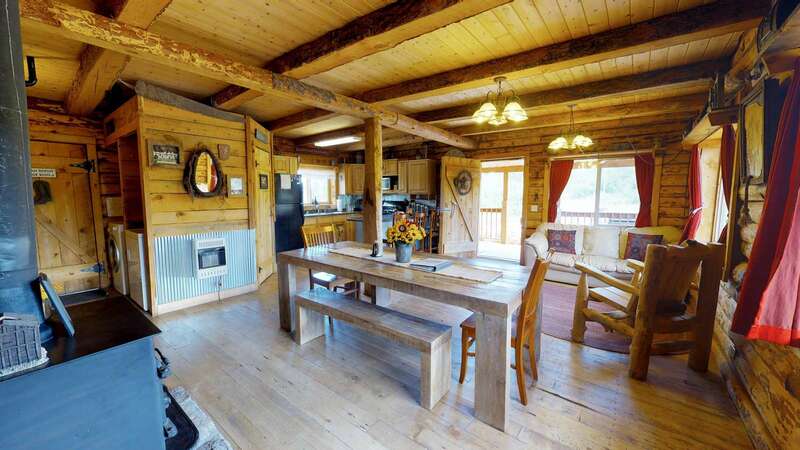 The Living Room, Kitchen and Dining area are nice and spacious. 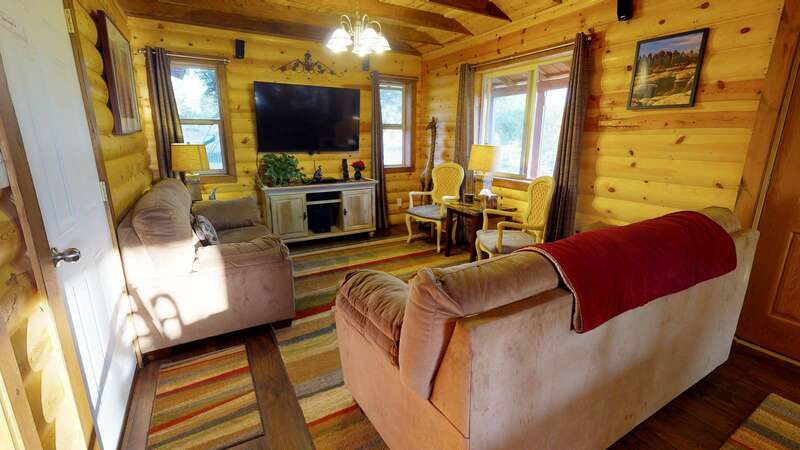 Two Big Screen TV's and free Wireless Internet are provided. 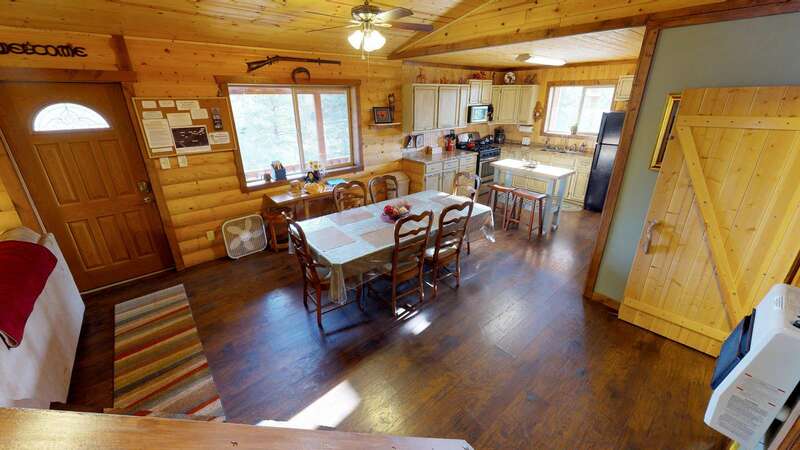 This Cabin is within walking distance of the White Pine Cabin (While remaining very private and secluded). 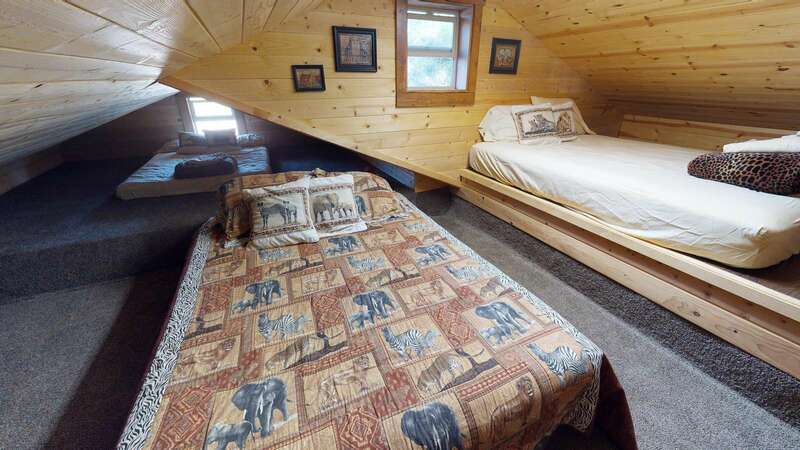 *Two bedrooms with a Queen Bed in each room, plus 3 queen beds in the Loft. 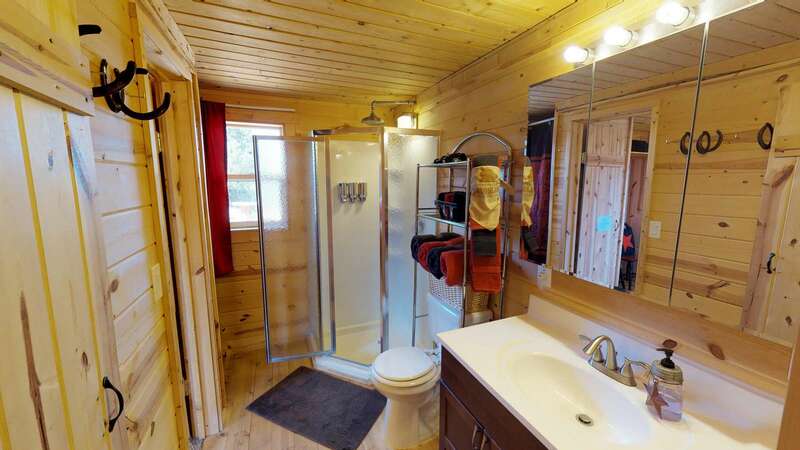 *Very nice full bath with shower, living room, full kitchen and dining table. 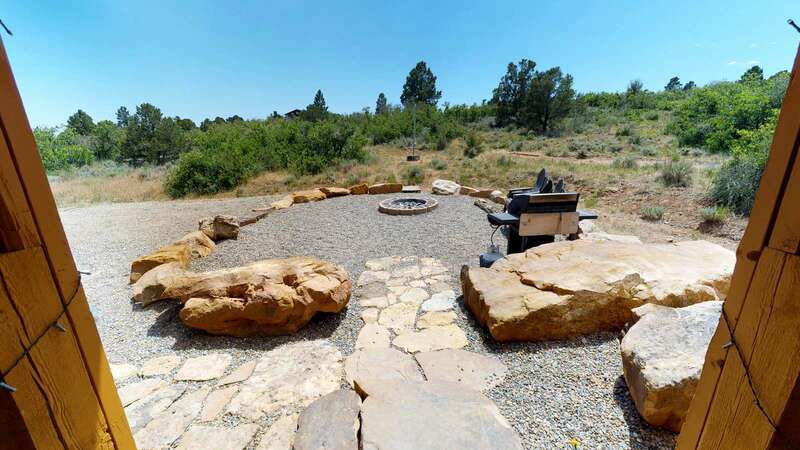 *BBQ grill and Campfire Area. 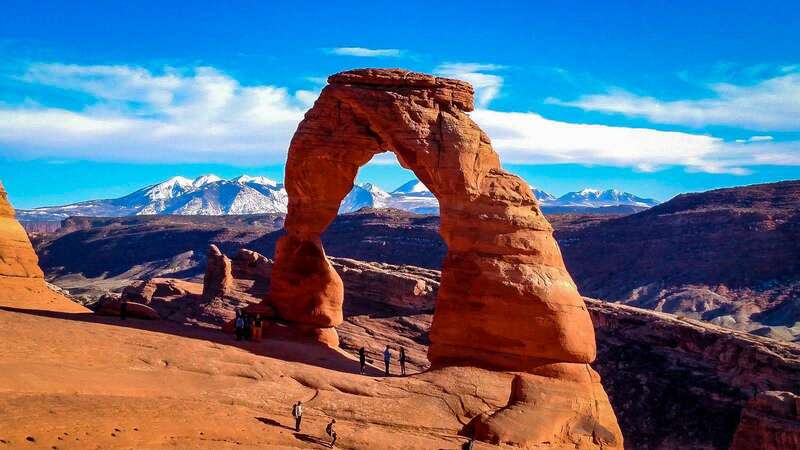 *Centralized among more than a dozen State and National Parks and Monuments! 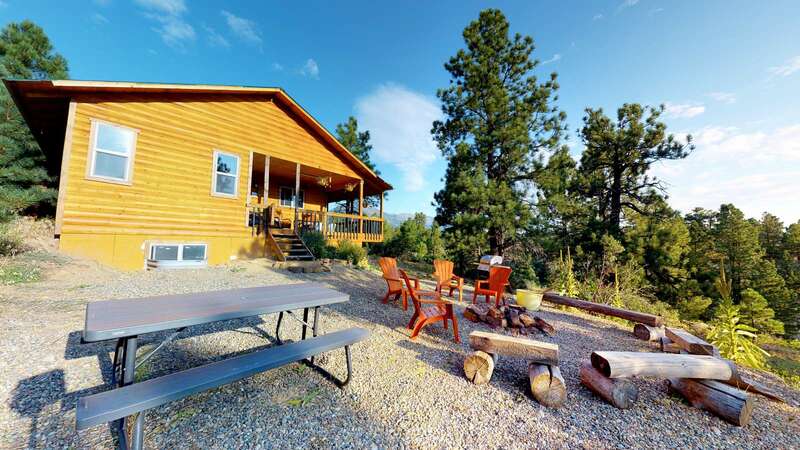 The White Pine Cabin is the ideal place for couples or small families! 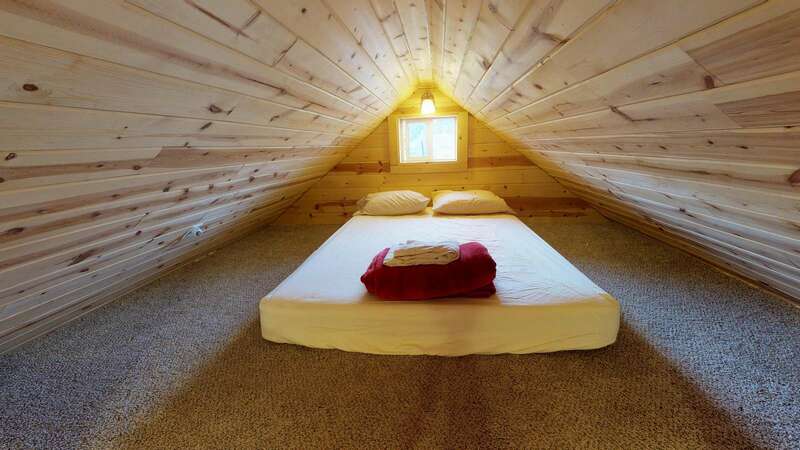 Sleeps up to 5 in beds. 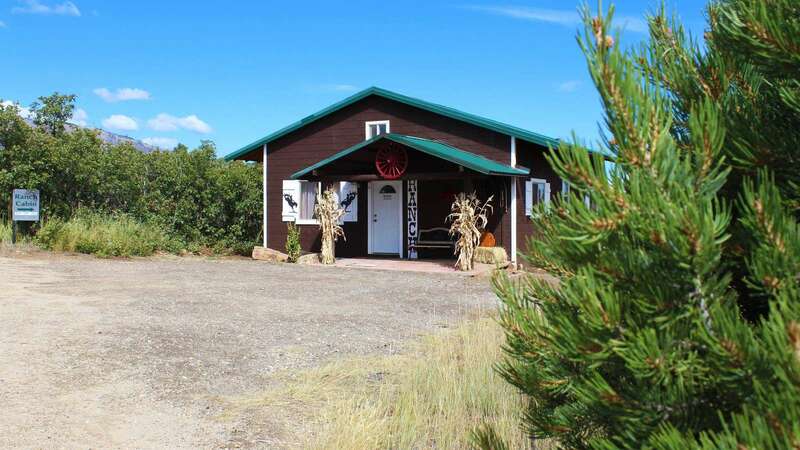 Featuring beautiful hardwood flooring and carpeted bedroom and loft. 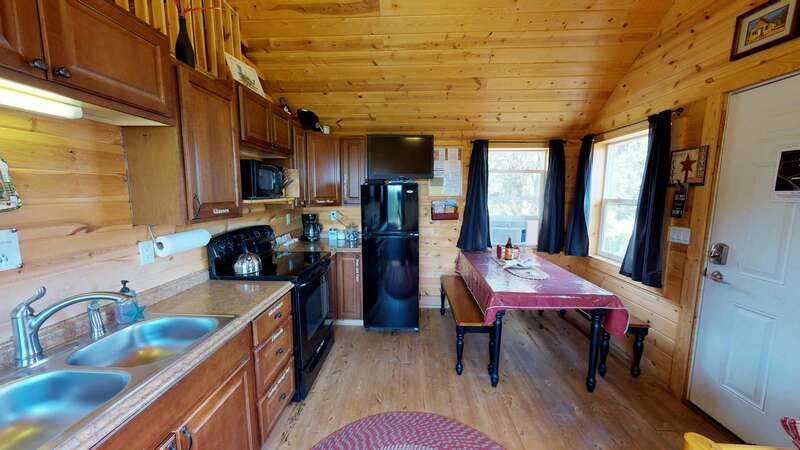 A fully equipped kitchen makes any stay at the White Pine Cabin charming, as well as the 4-place dining table, full bathroom with shower, flat-screen TV, Wi-Fi, BBQ grill, and more! 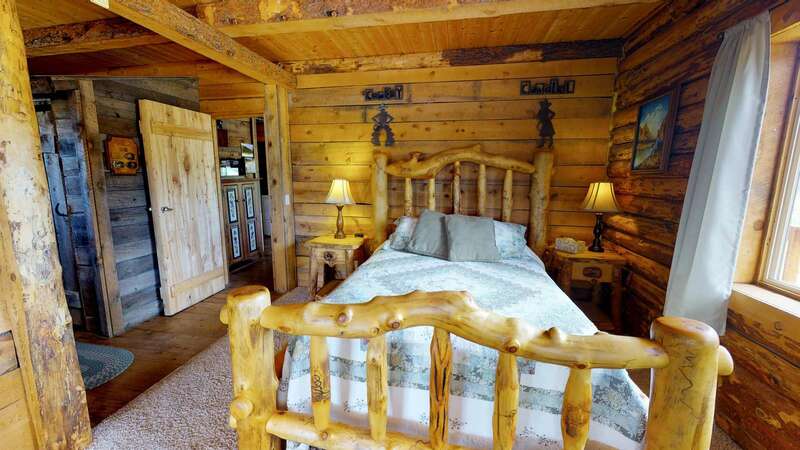 The cabin is equipped with a king bed in the master suite and a queen in the loft, ready to welcome any adventurer with all linens, blankets and pillows provided. 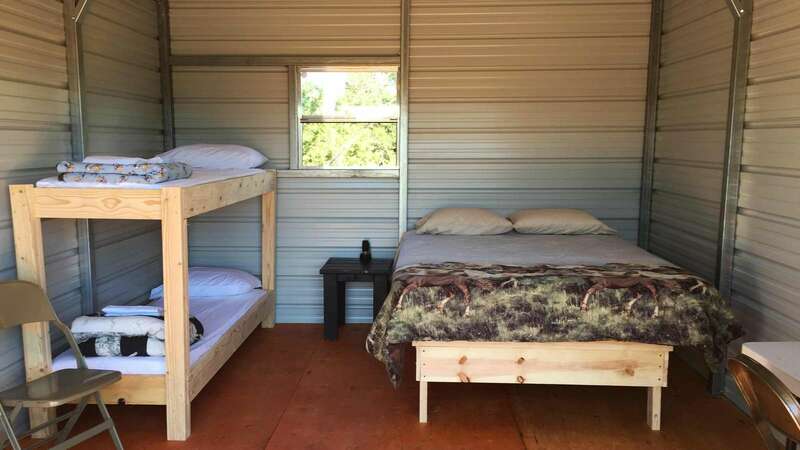 The loft has a queen bed and is carpeted for extra comfort and fun with extra blankets, pillows and pads as well as an extra tv and dvd player - makes a great place for kids to hang out or for extra sleeping space if there are more than 4 guests! The sofa also doubles as a twin bed. 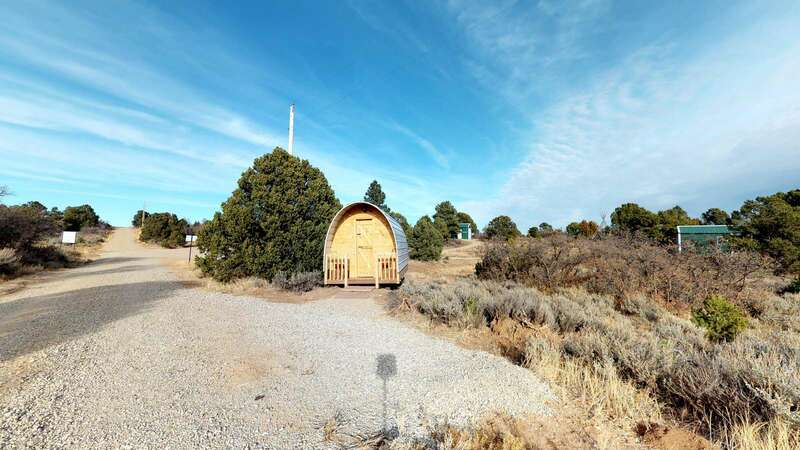 Just outside you will find beautiful surroundings of trees and nature, as well as an amazing view of the Abajo Mountains just behind the cabin. There is a nice campfire area for enjoying the evenings outdoors if desired. 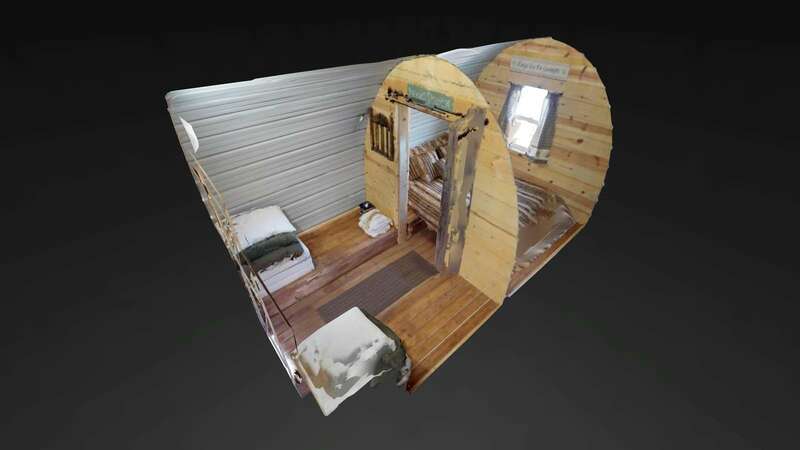 SCROLL TO BOTTOM OF THIS PAGE FOR A 3D VIRTUAL VIDEO TOUR! 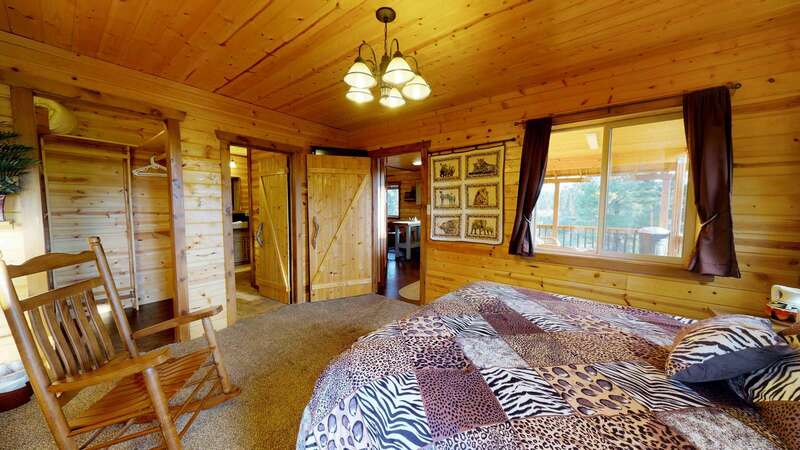 This property has 2 King(s), 18 Queen(s), 12 Twin(s), 7 Futon(s). 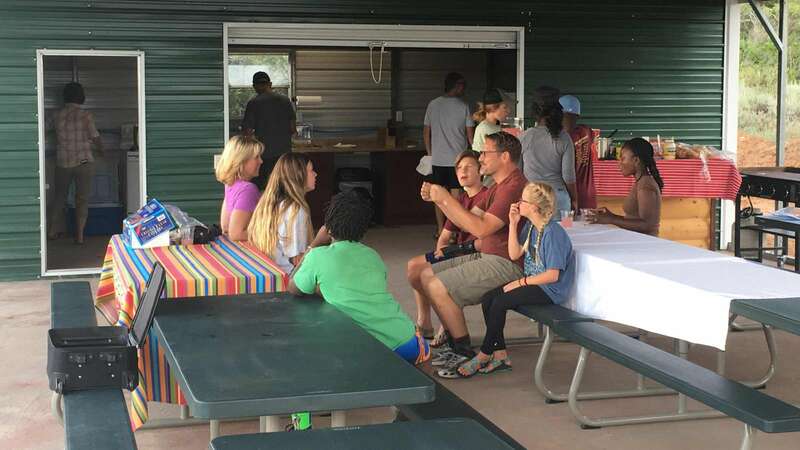 Again, we had a terrific time using the Pavilion and related cabins for a large-scale family event. 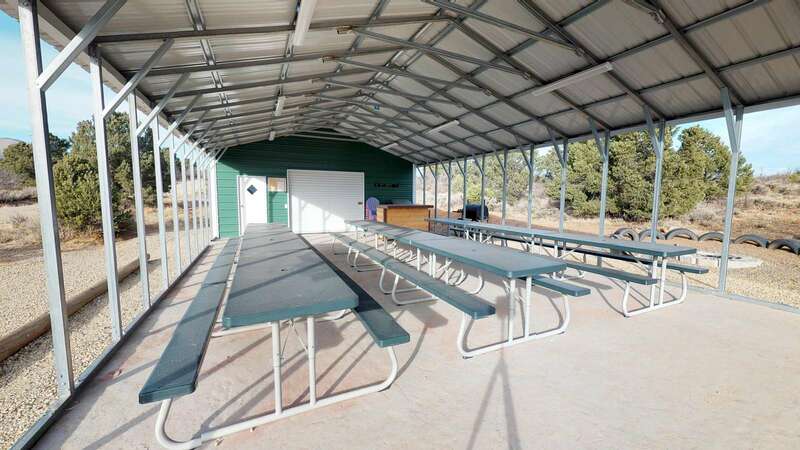 The pavilion was perfect for our meals and meal preparation. 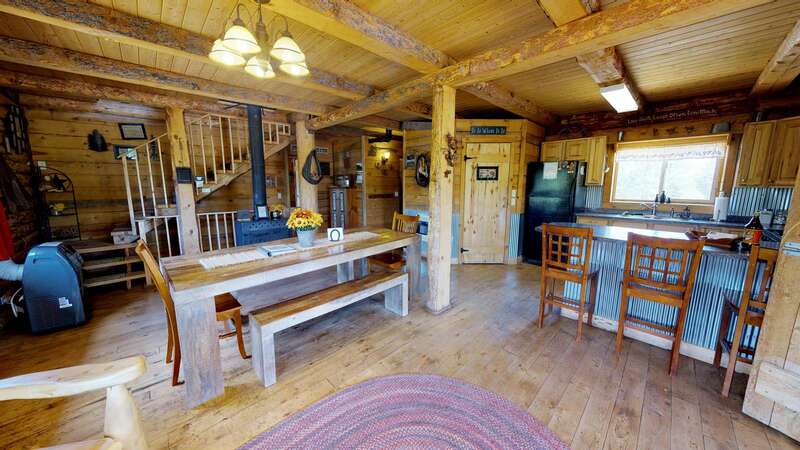 Our grandchildren loved the Ranch Cabin and the Barn Cottage. We will be coming again--for sure! 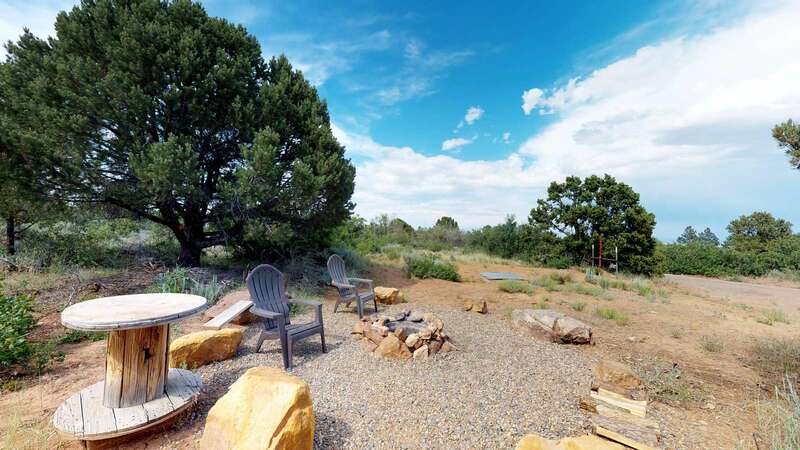 The Canyonlands Guest Ranch was perfect for our family reunion of 39 people. 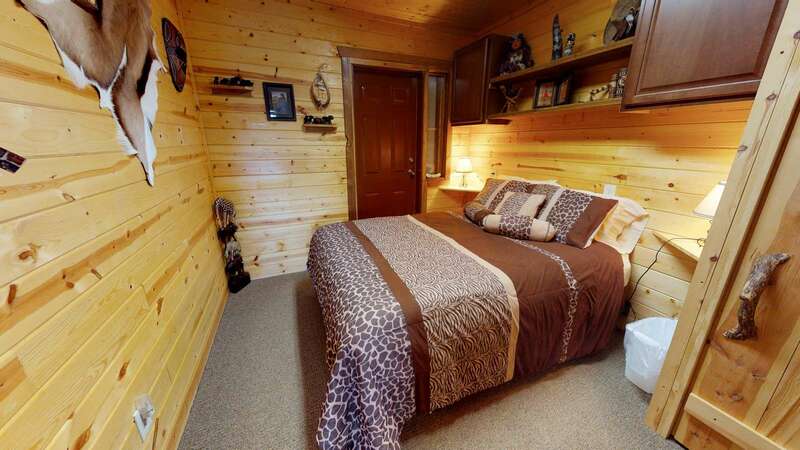 The cabins were all clean, beautiful, and had comfortable beds. 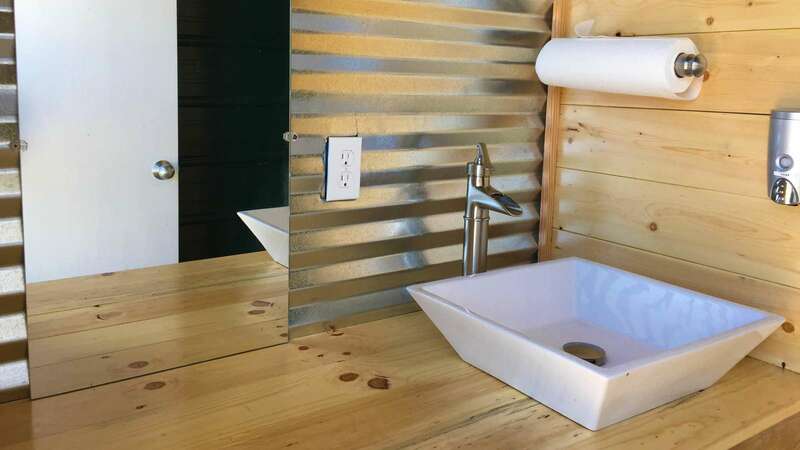 Even the Glamping Cabins near the pavilion were clean and comfortable. The pavilion was perfect for getting everyone together for meals. 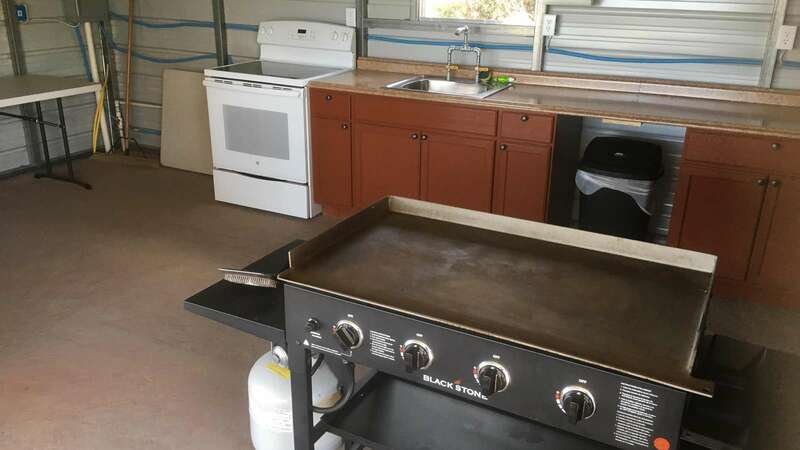 The kitchen at the pavilion had everything we needed to store food, cook, and prepare meals: two refrigerators, stove, sink, gas BBQ grill, and even a screen to show a slide show. 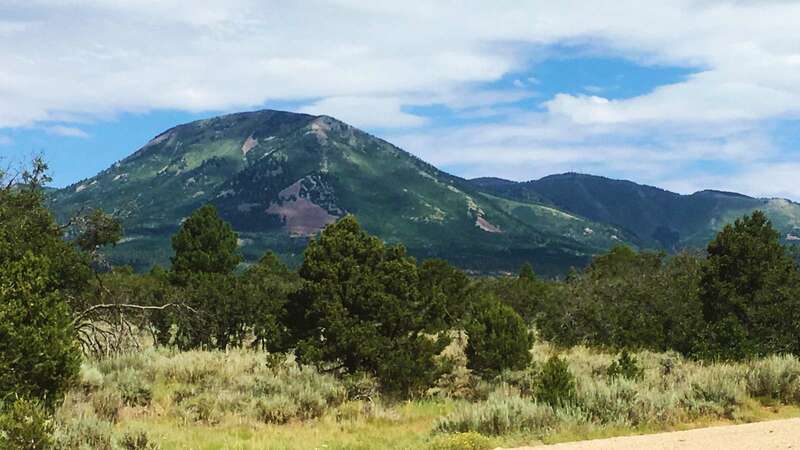 There is so much to do and see in the area... I'd love to spend a lot more time there to explore the spectacular landscapes. 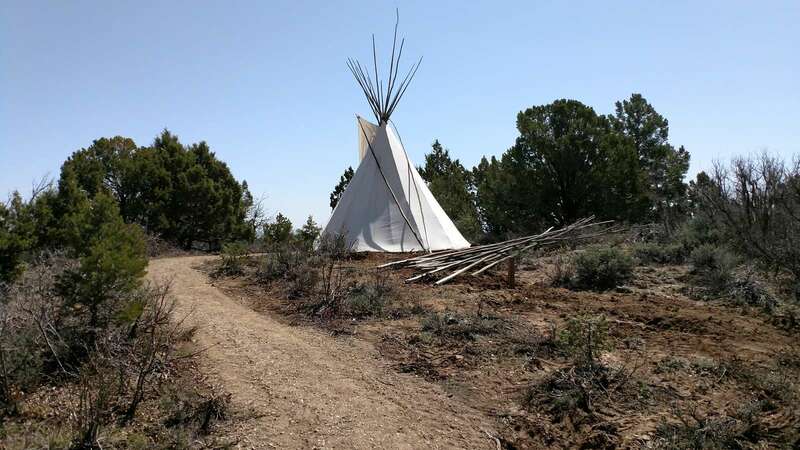 We had a family reunion at the CanyonLands cabins in Montecillo. There were about 55 family members attending and we had a great time!! 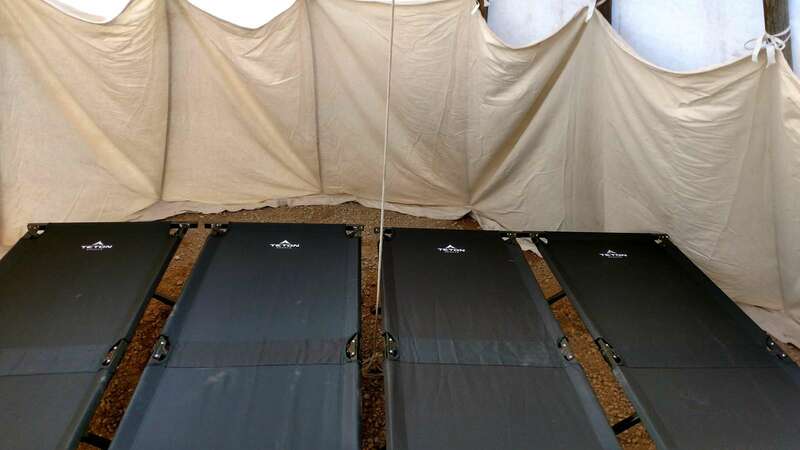 The facilities were clean and comfortable. Jerry was excellent to work with. 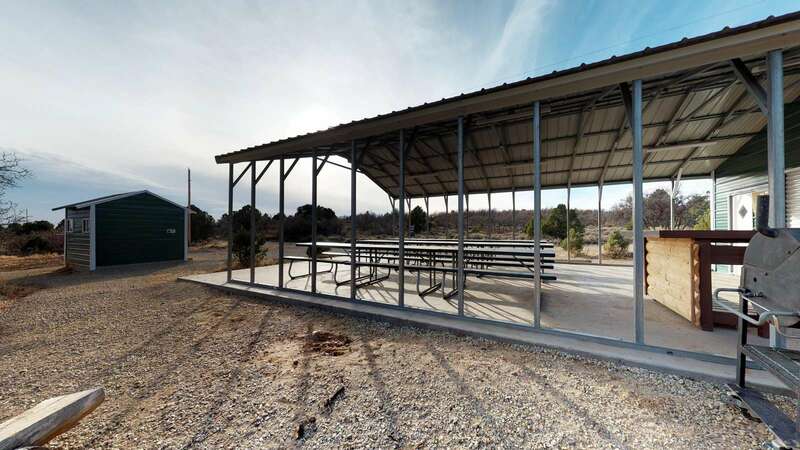 I recommend this facility to any family who is considering a family reunion in Southern UT. 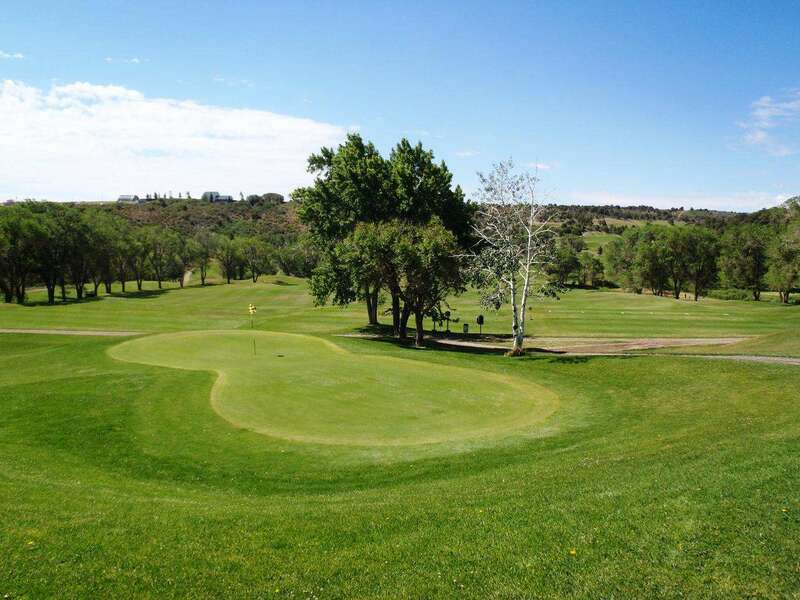 If you could give the Canyonlands Ranch a 10 that wouldn't be enough to rate this fabulous facility. 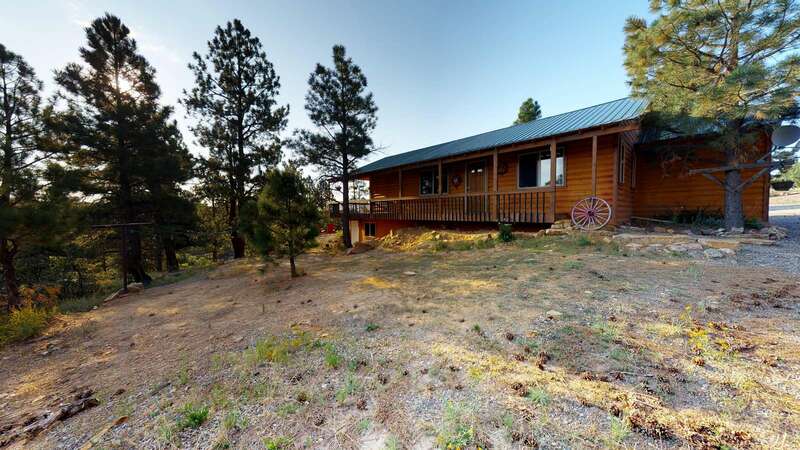 We used the entire property excluding the Canyon View lodge. I would recommend any of the Cabins--Africabin for its secluded feel, luxurious amenities and beauty; Ranch Cabin for its space and family feeling; White Pine Cabin for its quaint and cozy atmosphere plus the playful loft for climbers; the two barn rooms were so pleasant and western, I didn't want to leave the area to gather for fun with our group over in the pavilion; and the pavilion was incredible with its 3 cabins, Tipi, Wagon, bath house and covered dining/cooking area that offered our group of 57 plenty of gathering space. 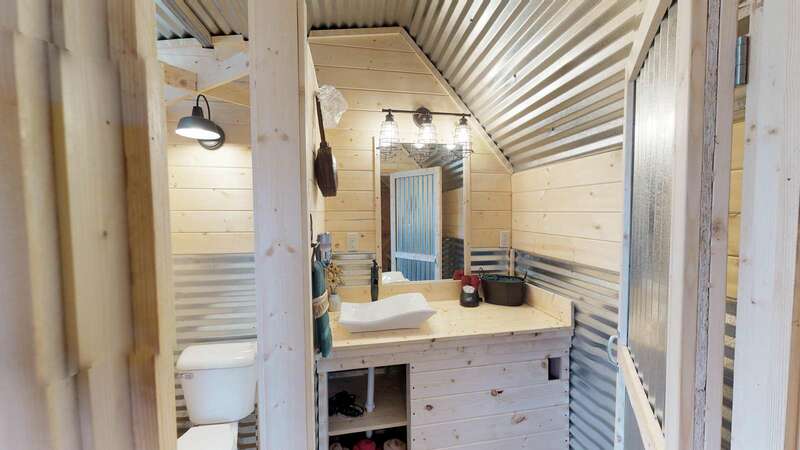 I can not say enough good about the personal details put into each space and living quarters. 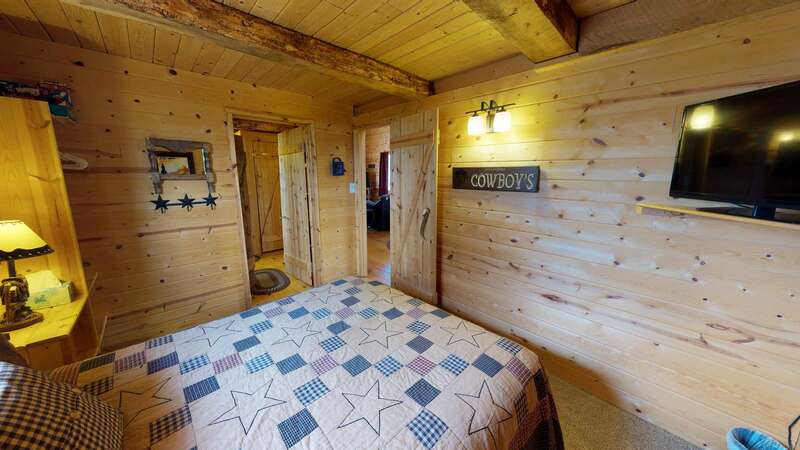 I stay in hotels often though out the year and pay double per night that I paid at Canylands Ranch in Monicello. We felt so welcomed by Jerry and Tina (owners) Their cleaning staff, and Kaiden the office manager that booked our stay. NOTHING went wrong. EVERYTHING was exactly as they said it would be. 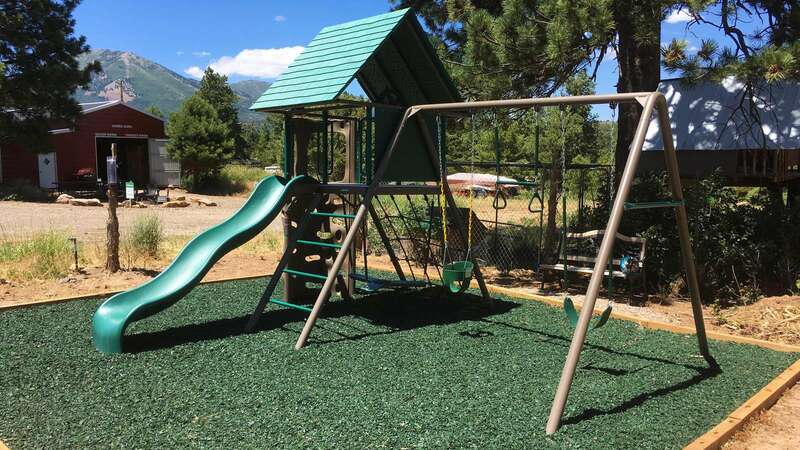 BONUS surprises left and right that made this place a memories for our whole family. 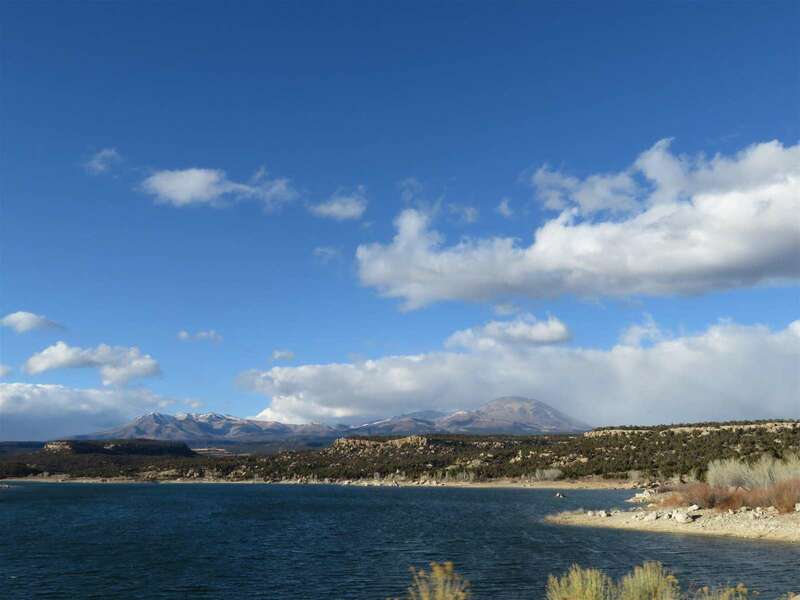 We hiked the property, we hiked the National Parks close by, and we went swimming in the reservoirs daily. We toured the local museums, and ruins close by. We were on the go and only short minutes away from some of the most amazing places on planet earth. 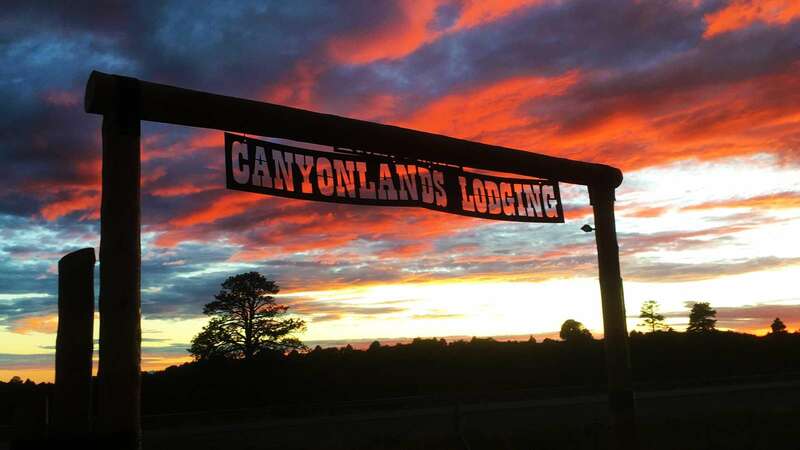 If you want to get the most for your money, you can't go wrong with Canyonlands Lodging. We will be return customers as long as we live. Thank you so much Jerry and Tina and staff. 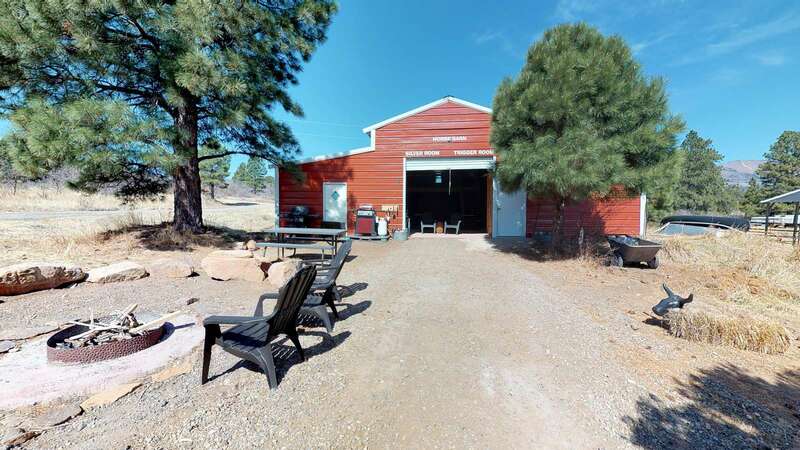 Great place to stay and have fun. 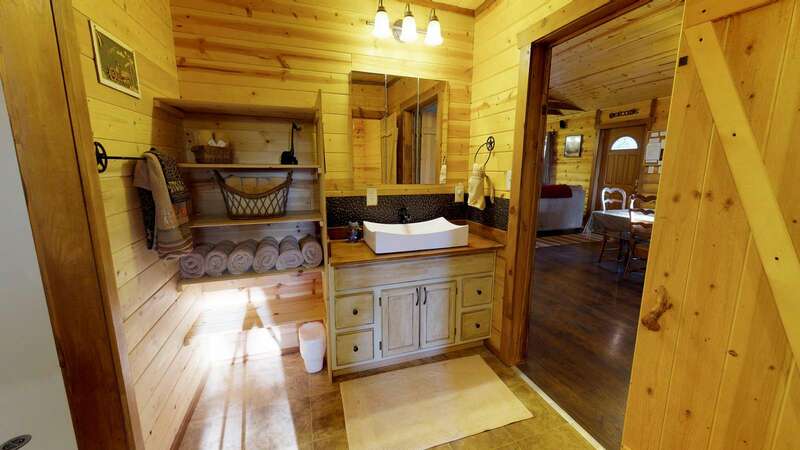 The cabins were clean and provided a place for us to just relax. It was nice to not be by any other cabins, so we had a quiet time when needed. Thanks again for allowing us to stay in your cabins. 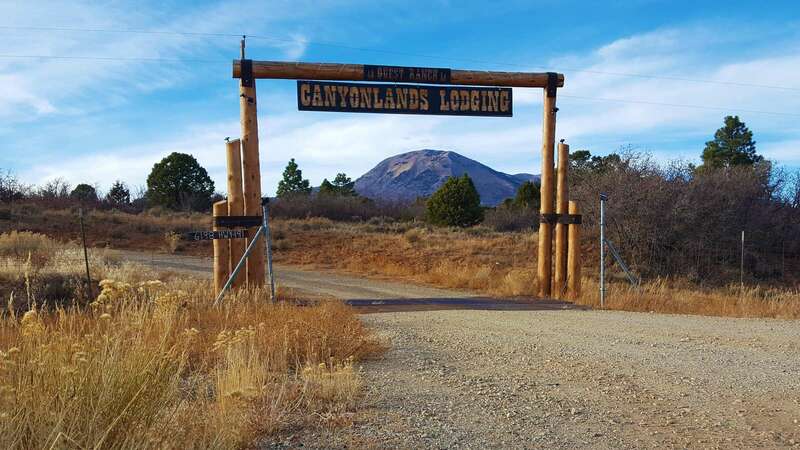 We loved our stay at Canyonlands lodging. 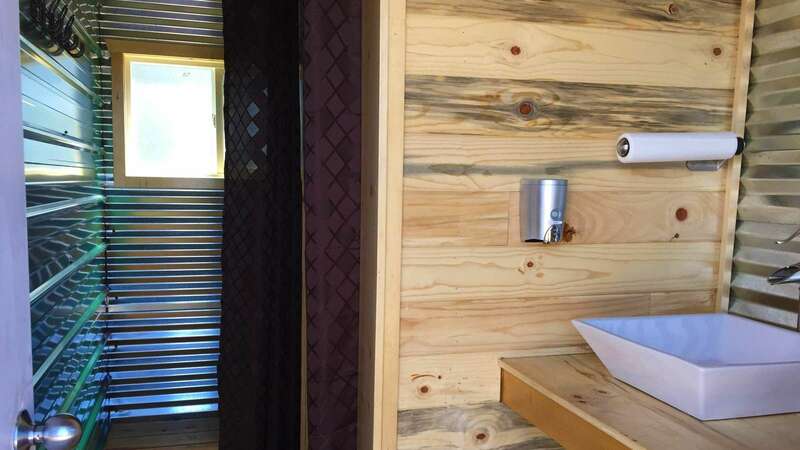 Our cabin was beautifully decorated, kitted out and easy. We made a fire every night, fed the birds and got to know the giant white ranch dog, Inga. Our hosts were friendly and attentive, making sure that we were happy and comfortable. The surroundings were beautiful. We took walks around the property and couldn't believe the sheer gorgeousness. Our kids loved it and were delighted to find a tree house to play in. We would absolutely come back. Response: Thank you for enjoying this with us. Hope to see you back soon. Our party stayed at the Blue Mountain Lodge and was impressed with the appearance, condition and accomadations. 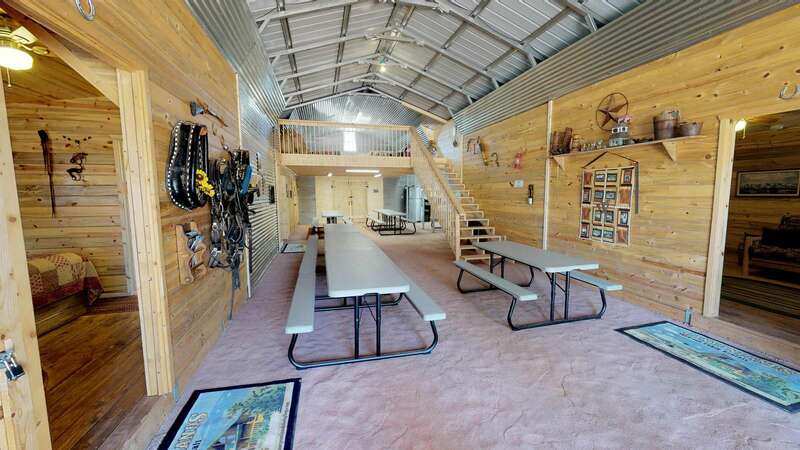 The lodge has plenty of room to kick back and relax with plenty entertainment option for the group. We went ATV trail riding 5 days, 2 trails by Blanding, 2 by Monticello and 1 by Moab. The Blue Mountian Lodge was a great location for access to the different trails. Thanks for the week of good weather too. The Murdock's went above and beyond to make our stay as pleasant and relaxing as possible. The scenery was breathtaking. The building was clean and felt like "home". Thank you for a wonderful family vacation! 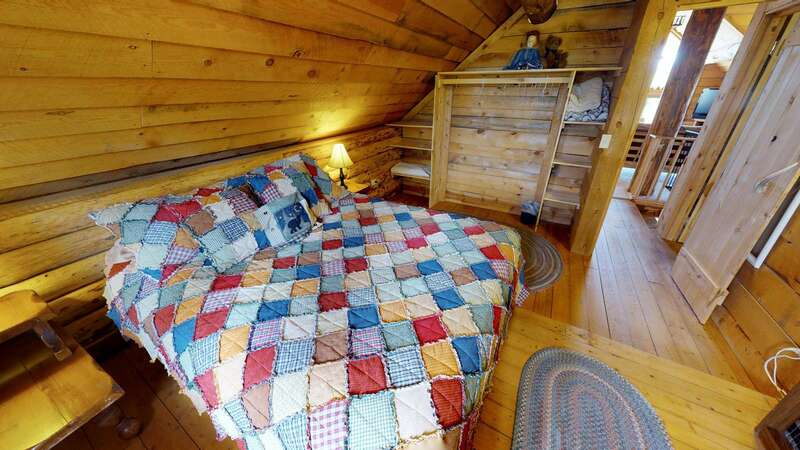 Our quilt guild, Grayson Country Quilters, spent three night at Blue Mountain Lodge. We loved it! We spent the days sewing and the evenings, too! We enjoyed the natural setting, eating our meals outdoors on the balcony. We had a wonderful time. Thank you so much! After three nights at the Blue Mountain Lodge, all I regretted about it was that we didn't have a week (or two!) to stay and play. It has plenty of room and no end of things to do. 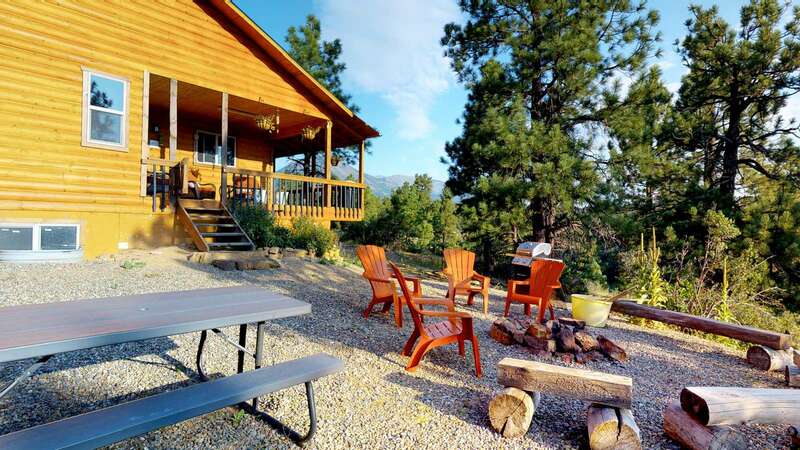 A comfortable and beautiful place to get away. 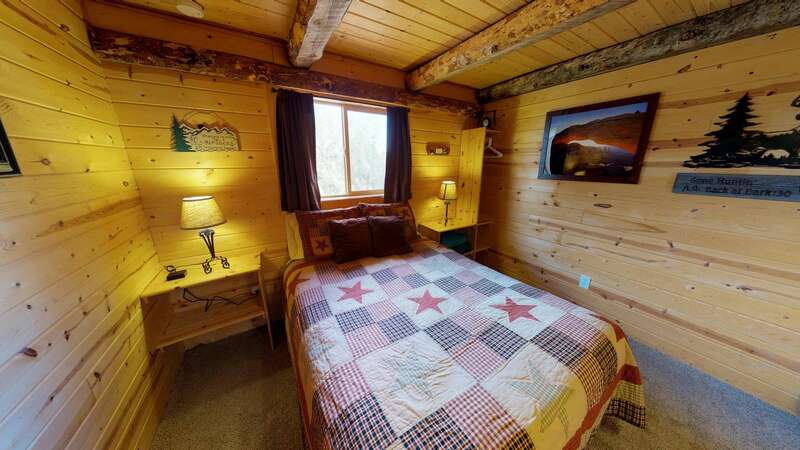 I booked 2 cabins and the Blue Mountain Lodge with Josh from Canyonlands Lodging for a family reunion of 50 people. The pictures on the website were appealing and it was one of the few places that was able to accomodate our group for a reasonable price. 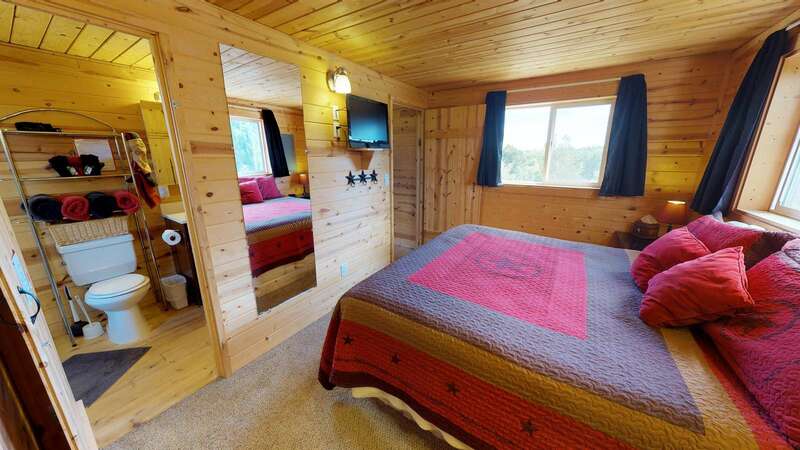 I was relieved to know that towels and sheets were included with the lodge so our group didn't have to worry about that. Also provided was cooking tools, utensils, and dining ware. 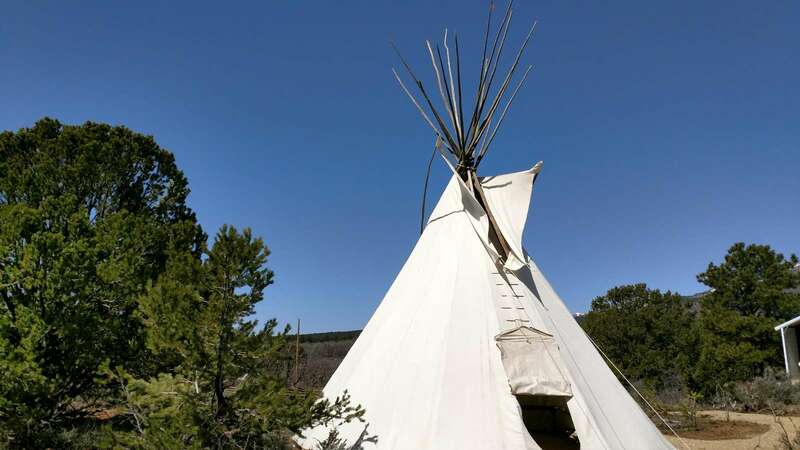 When I first entered the lodge, I was shocked by the space on beauty of the property. The pictures on the website did not do it justice. It was rustic but very fine and elegant. It turned out to be the perfect spot for our reunion and I hope to return soon. 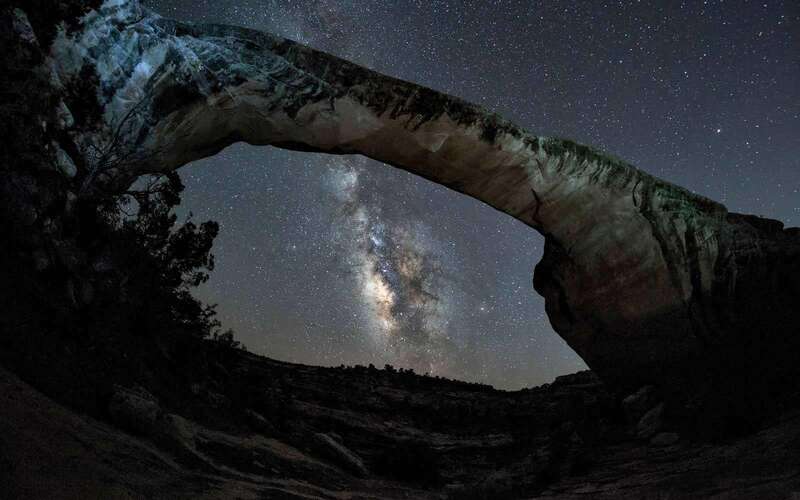 The most amazing part about staying at your lodge is the spectacular star gazing. I think the nearest city is at least 10 miles away which made great viewing of the Milky Way. 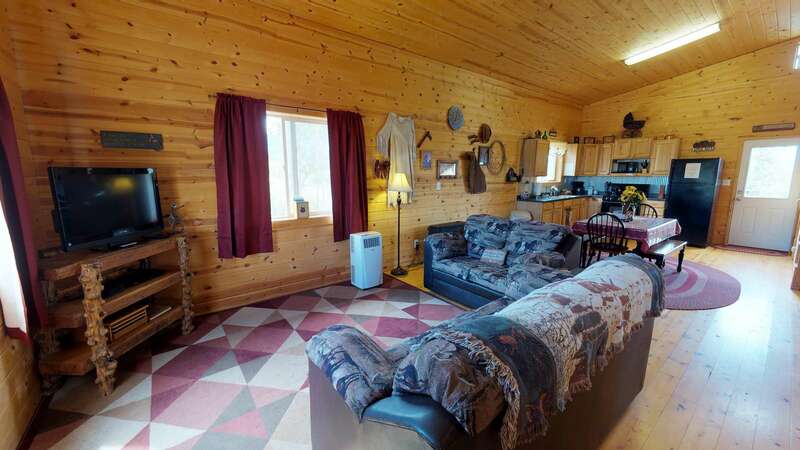 The huge living space and very reasonable price are a plus too.